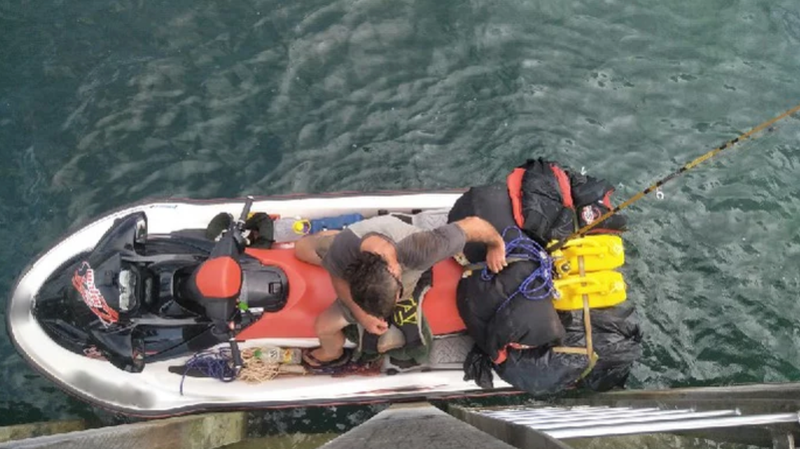 The Australian Border Force (ABF) say they were first alerted about a man on a jet ski “possibly armed with a crossbow and carrying additional fuel and supplies” riding away from Pundsand Bay on March 25. Authorities determined the wave rider was likely a man who had been charged in Western Australia, according to a press release from the ABF. Authorities believe the man’s final destination was Papua New Guinea, The Age reports, and tracked his path through the Torres Straight with the help of locals. Ultimately, the man travelled about 93 miles before he was arrested, The Guardian reports, making it to Saibai Island’s mudflats, about 2 and a half miles from the coast of Papua New Guinea. “We wouldn’t have gone to this sort of effort if they weren’t significant charges,”O’Keeffe added.